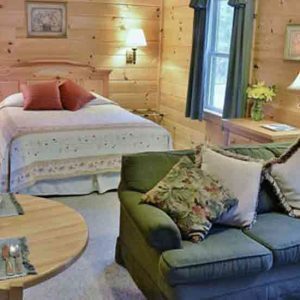 Our studio log cabins are cozy and quaint, making them the perfect choice for the couple looking for a private getaway or for the lone traveler looking to disconnect from the hustle and bustle of everyday life. 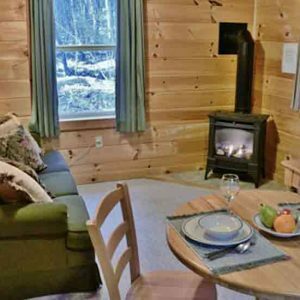 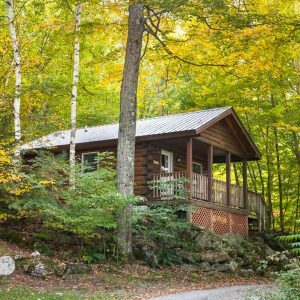 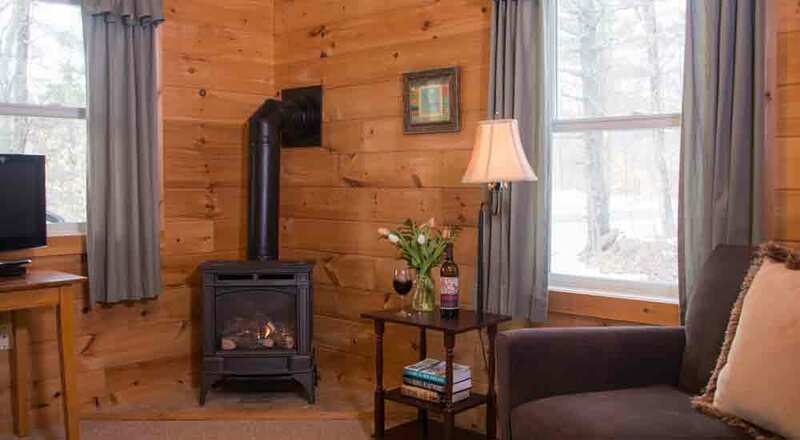 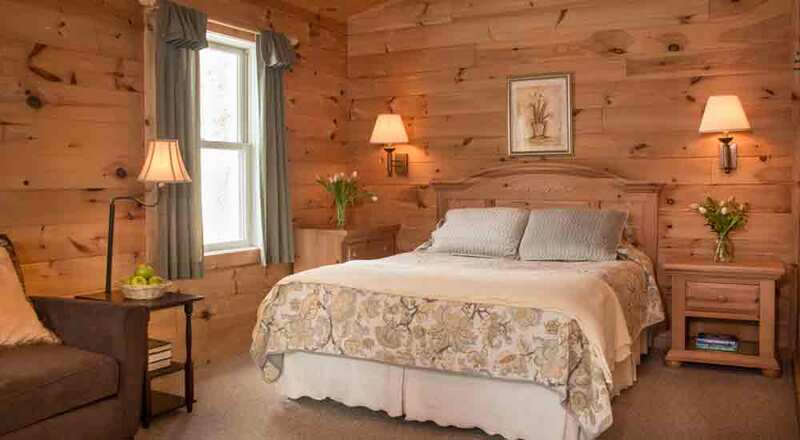 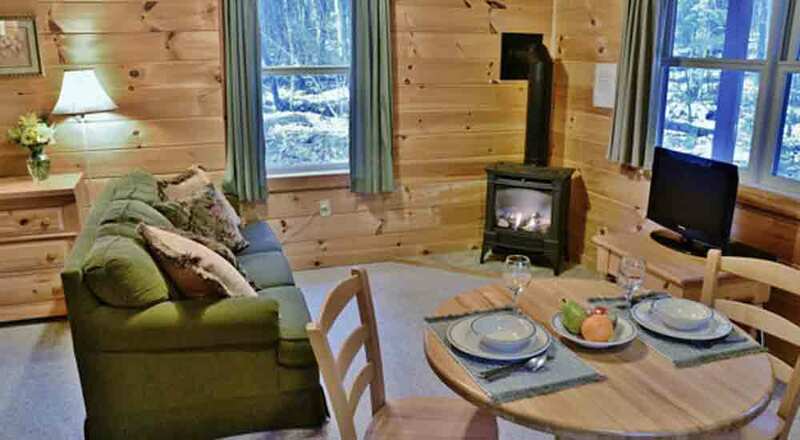 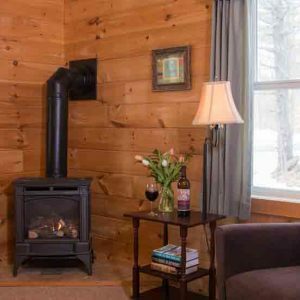 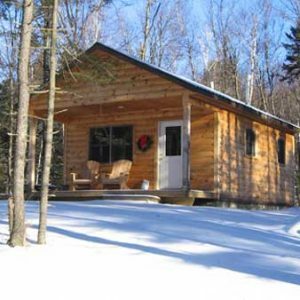 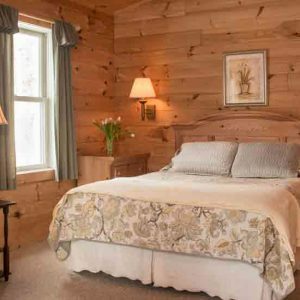 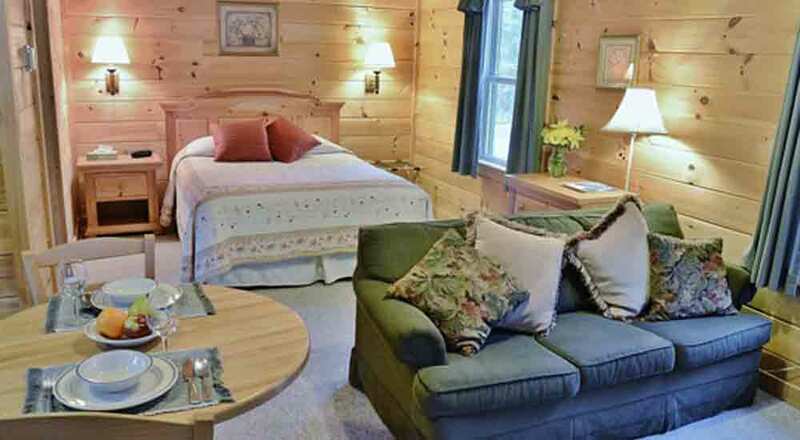 Equipped with a queen-sized bed, gas log stove, kitchen, bath, couch, TV, and free WiFi, a studio cabin provides our guests with a safe space to relax and unwind. 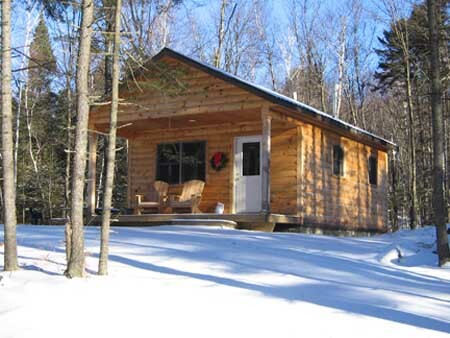 Dogs are allowed in specific studio cabins. 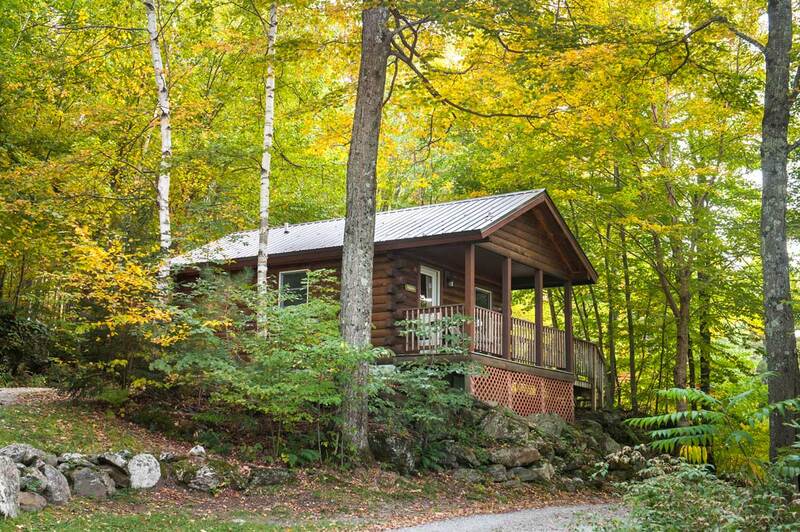 $30 per night/dog, 2 dogs maximum.